Can we use fire to turn back time, bring forests closer to their original state, and maintain these ecosystems over the long term? Previous studies show mixed results depending upon when, how often, how severe and in what season a prescribed burn was conducted. Anthony Zhao, a master’s degree student in geography, in the College of Earth and Mineral Sciences, is using computer model simulations to try to get a clearer answer to this question with his master’s research project, supported by a Center for Landscape Dynamics Graduate Award. Zhao’s project is unique in that it is primarily computer model simulations and little or no fieldwork. He is using forest data collected by various partner agencies such as the U.S. Forest Service, the National Park Service, the New Jersey Forest Service, the Pennsylvania DCNR Bureau of Forestry and the Pennsylvania Game Commission. Those agencies have provided forest plot data for sites across Pennsylvania, southern New Jersey and the Virginia Appalachians. The databases include information such as tree species, diameter, height, mortality and damage, fuel load, observed burn effects, and more. All that information will be loaded into the Forest Vegetation Simulator (FVS), a tree-growth modeling program routinely used by forest researchers. An add-on for the model, the Fire and Fuels Extension (FFE), will also be used to simulate and model prescribed burning. How are development and globalization affecting the livelihoods of indigenous communities in a remote mountain region of Morocco? Zachary Goldberg, a master’s degree student in geography, in the College of Earth and Mineral Sciences, is using a qualitative case study approach to try to describe how adapting their traditional agricultural practices to grow more apples in response to market demands has changed life for the Amazigh people for better or for worse. One way it might be worse is the increased use of pesticides that apple cultivation requires. “When I met with leaders in the community, they were concerned about the impacts of pesticides,” Goldberg said. As a Master’s student in Geography in the College of Earth and Mineral Sciences, Ruchi Patel studies the discursive, policy, and planning frameworks surrounding the adoption of biological corridors as an integrated model of biodiversity conservation and development in El Salvador. 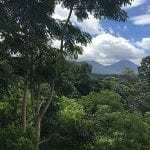 Collaborating with a conservation NGO based in the region, Paso Pacifico, Patel is using a mixed methods approach—document analysis, key informant interviews, and spatial data analysis—to investigate the potential for establishing tropical dry forest corridors along Mesoamerica’s Pacific slope. Christian John is a second-year Master’s student in Penn State’s ecology graduate program, working under Dr. Eric Post. 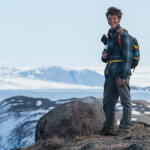 He studies climate change influences on caribou migration in low-arctic Greenland, with particular emphasis on herbivore and plant phenology. His work combines long-term observational data with low-level and satellite-derived remote sensing. Because lightweight unmanned aerial photography is relatively inexpensive and can be easily incorporated in remote settings, he has begun to explore novel imaging techniques in the field for caribou demographic surveys and plant phenological measurements. The CLD award will finance materials for advanced aerial data collection, including platforms and high-quality sensor technology. Jamie Peeler graduated with a B.S. in Biology from Duke University in 2012. She worked as a field technician on multiple research projects both domestically and abroad after graduation, including in northern Minnesota, Equatorial Guinea, Florida, and the Pacific Northwest. Jamie is currently a graduate student in Erica Smithwick’s LEAPS (Landscape Ecology at Penn State) lab, where she is studying the potential spread of cheatgrass (Bromus tectorum) and its impact on forest vulnerability in the Greater Yellowstone Ecosystem. 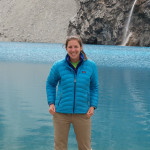 The CLD Graduate Research Award will provide Jamie with travel and lodging funds for her upcoming summer field season in the Greater Yellowstone Ecosystem. 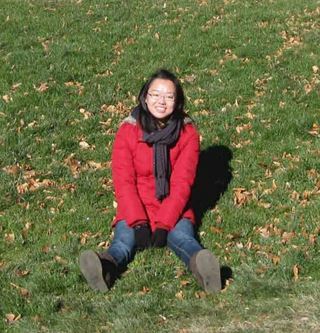 Wei Jiang is a PhD student in the Department of Ecosystem Science and Management at Penn State, working with Dr. Mike Jacobson. Her dissertation research studies land use change in the northeastern US. She applies economic theory to assess the socioeconomic factors driving land competition of food vs. biofuel. The CLD Graduate Research Award will provide Wei with travel and lodging funds for her upcoming conference this summer. 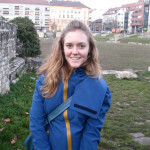 Megan Baumann is a first-year student in the Department of Geography’s 5-year M.S./Ph.D. program. Megan arrives to Penn State from Chicago, where she worked in realms of human rights law, urban and peri-urban vegetable production, and as a youth educator in agriculture and urban ecology programs. 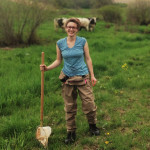 In the quest to combine biophysical and qualitative methods in political ecology work, the Center for Landscape Dynamics Award will allow Megan to engage in research and analysis of small farmers’ soil management techniques in regions of Central and South America that face rapidly changing climates and landscapes. Russell Hedberg is a PhD candidate in geography here at Penn State. His dissertation research examines soil fertility management in regional food systems in the northeastern US, with a particular focus on phosphorus management and the movement of phosphorus through the food system. Russell uses resilience theory as a framework for assessing the balance between farm yield and nutrient loading, and the effects of local food systems, farmer social networks, and biogeochemical factors in creating and strengthening more resilient and sustainable soil nutrient networks. 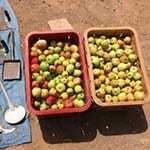 The CLD grant has supported travel for participant recruiting and data collection, and to support soil enzyme and microbial analysis on participating farms. 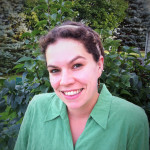 Erynn Maynard is a second-year PhD candidate in the Ecology program at Penn State. She is exploring the changes that occur in northeastern deciduous forests with the increasing prevalence of invasive shrubs. These shrubs leaf out earlier and maintain their leaves later than native species, especially the overstory canopy. Erynn is quantifying this extended leaf phenology (ELP) on a regional scale using a citizen science campaign called Shady Invaders through the National Phenology Network. On a local scale, abiotic changes to light and temperature are being quantified. Additionally, she is exploring the costs and benefits of ELP in terms of physiological trade-offs with net photosynthesis and leaf nitrogen content. The CLD grant has been instrumental to this research through funding leaf nitrogen analyses and field supplies. 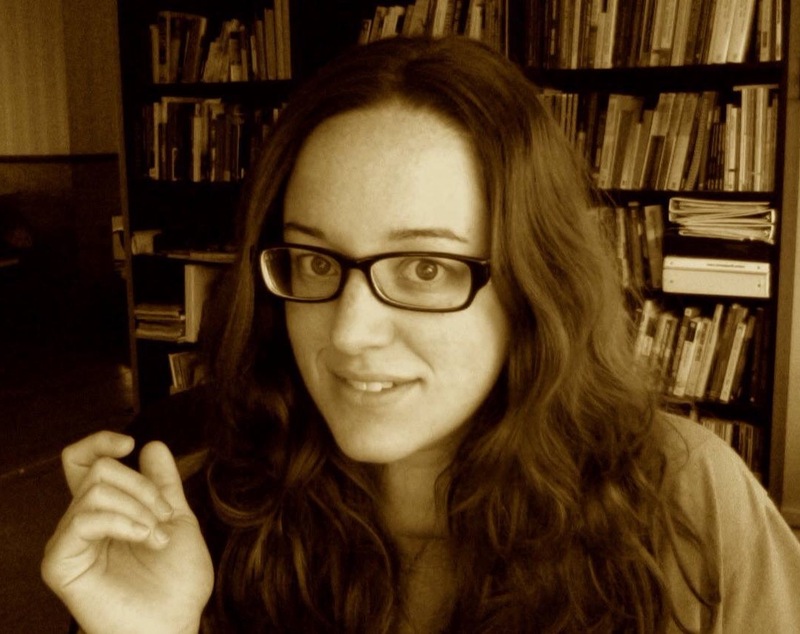 Lacey Goldberg is a PhD candidate in Architecture with a focus in Landscape Architecture. Her research looks at the visual and scenic impacts of energy industries on the Pennsylvania landscape, particularly development and infrastructure associated with Marcellus shale natural gas extraction. The goal of this work is to look at historic trends of energy extraction practices on the landscape, create from those trends predictive models that will indicate where future visual impacts are likely to occur, and from that information, work with local communities to design and implement conservation measures to protect their valuable scenic and cultural amenities. The CLD grant will fund travel to locations throughout Pennsylvania for photographic field work.The purpose of this project is to photograph the visual impacts to Pennsylvania State Parks, Wild Areas, and Natural Areas resulting from the Marcellus shale industry and the infrastructure needed to support it. Utilizing current GIS datasets detailing unconventional well activity I have identified fourteen locations that are in areas of dense Marcellus Shale development; nine in north-central Pennsylvania and five in western Pennsylvania. I intend to make two photojournalistic trips to document any visual impacts and changes to the landscape than can be seen in, around, or from these identified locations. These photographs will be georeferenced to integrate seamlessly into my current data and will contribute to a greater understanding of the visual impacts on a landscape scale and the landscape dynamics of shale activity on visual resources throughout Pennsylvania. I plan to present the findings from this study to the PA Wilds Design Guide Roundtable with PA Wilds community members, planners from Clearfield, Tioga, Warren Counties, the Pennsylvania Headwaters Resource Conservation and Development Council, the Pennsylvania Historic Museum Commission, and the Board of Historic Preservation. 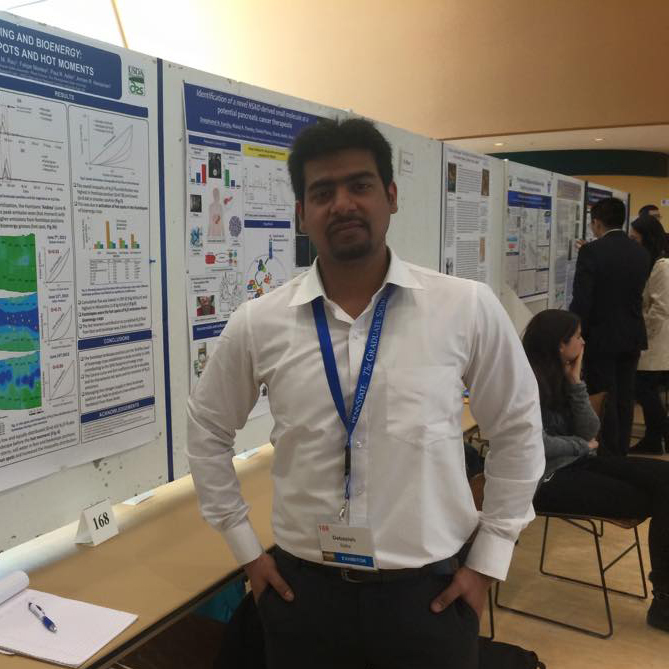 Debasish Saha is currently a post-doctoral fellow in the Department of Plant Science at Penn State. He completed his Ph.D. in Soil Science and Biogeochemistry from the Department of Ecosystem Science and Management at Penn State in summer, 2015. His dissertation work was supervised by Dr. Armen Kemanian and Dr. Jason Kaye. His research focused on landscape control of nitrous oxide (N2O) emissions, a potent greenhouse gas, during the transition from conservation reserve program grassland to perennial energy crops such as switchgrass and Miscanthus. Although his primary focus was on soil N2O emissions from energy crops, changes in soil carbon due to land use change was within the long-term goal of the project. The base-line information on profile soil carbon inventory in the landscape is important to quantify the soil carbon sequestration by energy crops over a time frame. The Center for Landscape Dynamics Award allowed him to analyze the soil samples and partially completing the initial soil profile carbon and nitrogen inventory of the experiment. Claire Hirt is pursuing her Master’s in Geography at Penn State with Dr. Robert Brooks. Her thesis is focused on linking freshwater ecological integrity with the Soil and Water Assessment Tool (SWAT), a nutrient runoff model. She assessed stream health by collecting and identifying aquatic macroinvertebrates from an agricultural watershed in central Pennsylvania. In collaboration with modelers at the USDA Agricultural Research Service, various spatial and temporal scales of nutrient runoff were extracted from SWAT and compared with patterns of ecological integrity. The CLD grant provided funding to present this research at the Society for Freshwater Science annual meeting.